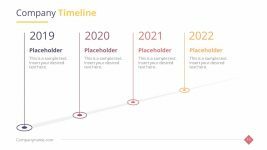 The Horizontal Timeline Graphics Slide shows an amazing flow of process through 8 steps to achieve final goal. 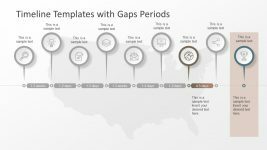 Therefore, the location marker icons to display the result or outcome of timeline shows the infographic of trophy. 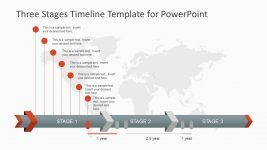 This shows the successful achievement of goals in PowerPoint. 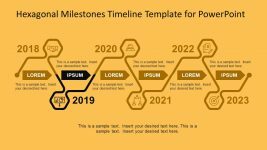 The horizontal timeline is also an incredible way to present the project schedule, resources and cost which may inflect. 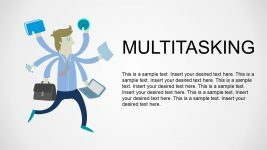 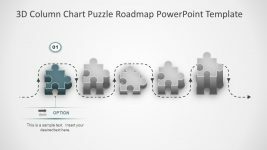 Therefore, this presentation is usable as an interactive replacement of Gantt chart. 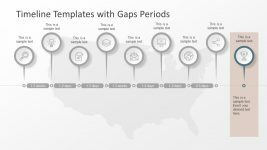 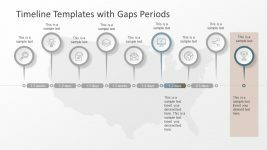 Hence, the PowerPoint timeline of gap periods is resourceful tool for project managers in stakeholder meetings.